Ultralight design and superior strength make this 12 in wall mounted frosted glass shelf the perfect choice for your bathroom, shower, powder room or half bath. 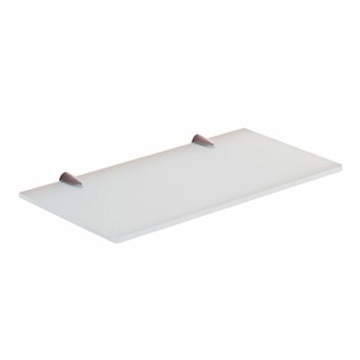 The 6 1/2 inch deep ultralight shelf can hold up to 13 pounds. Sturdy Cromall brackets with a slim profile hold up the 12 inch frosted glass shelf.